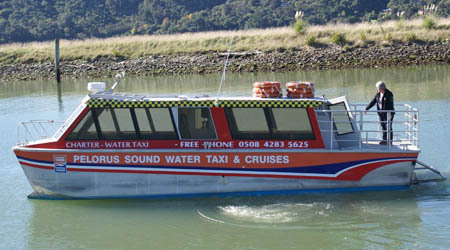 Use our Water Taxi Beachfeet to get out to your place of work in Pelorus or Kenepuru Sounds. 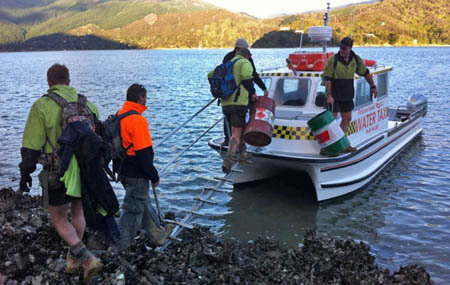 We have been taking workers out to various destinations in the Marlborough Sounds for years and have developed some great relationships with our regulars. It's the personal touches that make our services really special and that keep our clients coming back for more. We have plenty of room on board for transporting all your gear so you can travel with confidence. 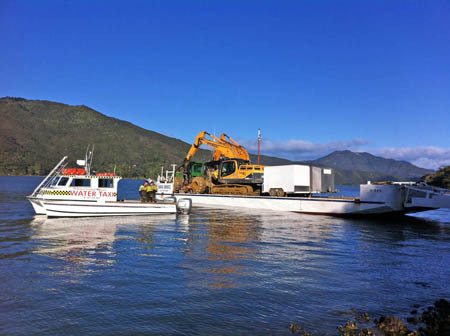 Charter Beachfeet to take your crew to your worksite, contact us to enquire or BOOK NOW.